Do you ever look at the sky and think that’s where we belong? Like maybe the world is the wrong way around and we’re meant to be up there, floating? Sixteen year old Therese lives in a small town on a small island. Her Aunt Kath calls her Tiger. Her friends call her Resey. The boy she loves calls her Champ. She’s a lot of different things for a lot of different people. And when he does, her perfect world falls with him. For the first time in her life, Therese can’t stand being on the ground. Girl Running, Boy Falling is a raw read about a girl and boy, who are beautifully flawed. Therese Geeves isn't golden, as Nicholas Wallace would have you believe. She's grieving for the promise of a life beyond her reach. A life of musicals, of obscure eighties references and of escaping to the chicken house on her grandmothers property where adventures are created from childhood imaginations. Her mother who sought adventure and her father who fell in love with a woman with a wanderlust penchant are distant memories, Therese is raised by her beloved Aunt and grandmother, continuing to write letters to her absent parents so one day they may know their estranged daughter. Her one constant is Nicholas Wally Wallace. Popular student, athlete and baked goods connoisseur. Therese is a wonderful young woman and incredibly authentic. She's a daughter, granddaughter, beloved niece, peer, coworker and friend and although she's not considered popular by any means, Therese is well known around the small community as Wally's best friend, the young man destined for a lucrative sports career on the mainland and Therese is apprehensive about being abandoned, her unrequited love for Wally left unanswered. I enjoy confrontational narratives, it encourages important discussions and often difficult conversations. A suicide results in many victims, family, friends and those touched by the traumatic loss of life and Therese seemingly prefers avoidance. Her Aunt is a wonderful means of support, allowing Therese to find solace and acceptance within her friends while gently suggesting counselling when ready. Old wounds begin to reemerge as the incident reminds Therese of her own abandonment. Her spirited mother appeared to be postnatally depressed and unable to care for her only child. Her father barely a presence in her life. To compensate, Therese collects thoughts and adventures to send to her absent parents. The narrative was wonderfully gentle, captivating and beautifully composed. Girl Running, Boy Falling is a tender coming of age narrative of living after a suicide and the multitude of ways in which we grieve. There are only two things MJ wants in her final year of high school, glowing grades and to convince uber smart, chiselled jaw Jason they’d be a winning team outside the science lab as well as in. Tutoring deadbeat drummer, Luke, isn’t part of the plan. After all, he has average intelligence, takes disorganised notes and looks like a partied out zombie at their study sessions! Not even his taut biceps will win MJ over. But MJ learns that she could be tutored in a few life lessons too. That sometimes there’s good reason to skip chemistry tutorials. That intelligence is so much more than a grade average. Mackenzie Olsen - Wang is an aspirational young woman and attentive student, revered for her intelligence. A quality held in high esteem in the Olsen - Wang home. Aspiring to become a medical professional, MJ attends Head Start University, a program for secondary school students where she's developed a fondness for fellow scholar Jason McNeil. MJ lives her life according to schedules, distinctions and her mother's preapproved assignment topics, she's assuming, judgemental and often appears condescending and patronising. She's aware of her intellect and believes intelligence is out most attractive attributes. Socially, MJ is unable to connect with others and her factual, no nonsense approach to others is abrasive and often insulting. Luke Bains is wonderful. Although a musician, Luke wants to become a teacher and is studying Chemistry in the hope to become employable. And failing. He's a gentle young man and despite being accused of being the stereotypical musician, Luke spends his free time caring for his sister and her local special education school as a voluntary music teacher for adolescents with Down Syndrome. What ensues is a beautiful and tentative friendship of acceptance, challenging stereotypes and following the path less travelled. Wonderfully written, Kat Colmer is an author creating diverse and realistic characters and Can't Beat The Chemistry is a feel great read. Thanks for sharing! You always share the best Aussie fiction; I really need to read more of it. I'm glad you enjoyed both of these. I'm definitely curious about Girl Running, Boy Falling. I do love books that take on personal, or difficult, subjects. Can't beat the Chemistry sounds awesome! Great reviews! I am curious about Can't Beat the Chemistry! 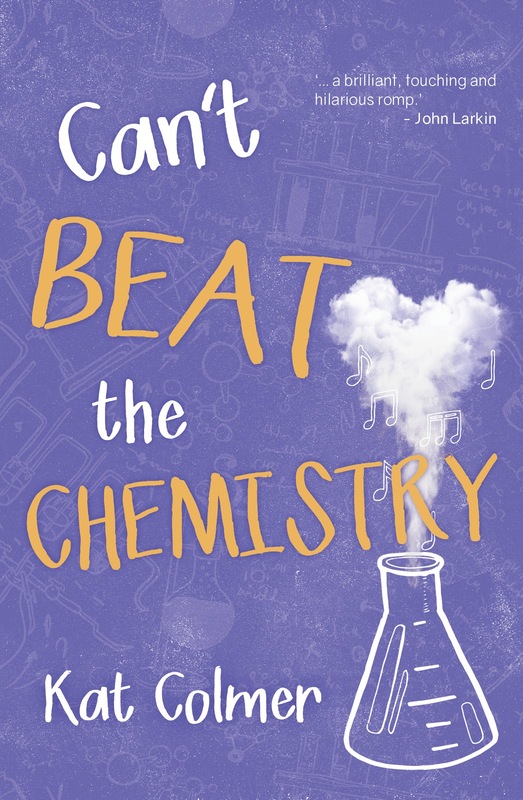 Can't Beat The Chemistry sounds great! 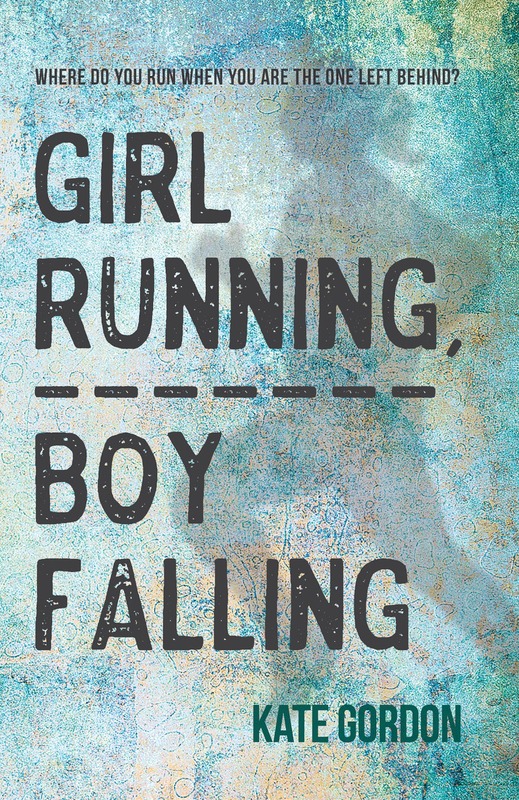 And Girl Running, Boy Falling sounds like a wonderful book tackling a tough topic. Glad these were so good!